Usually sweet running GTL started running oddly last weekend when warmed up. Symptons = at idle a very pulsy engine note and exhaust pumping out as if on part throttle. Closer inspection = the vacuum hose leading from back of Weber and connecting pipe to the side of the airbox was worn through. Ebay purchase of 10m of vacuum hose and a quick replacement of all the under bonnet hoses and Rouge back on song. In dire need of a wash.
Big fan of the Ronals, real '80's look. I love the Ronals - but I'm not sure they're right for the GTL. Then I saw the Toplines = WIN! What size are the Ronals? As they might suit my Mk 1 !! 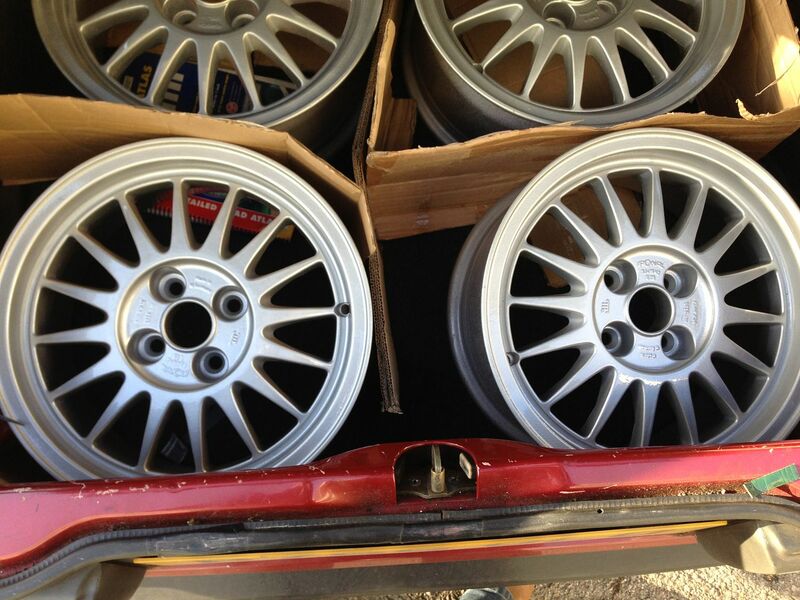 Ronals are 7x15 and et25 Pete so way too much poke for a mk1. 6x14 or 6x15 much better on a mk1. You are damn right. You lucky boy. 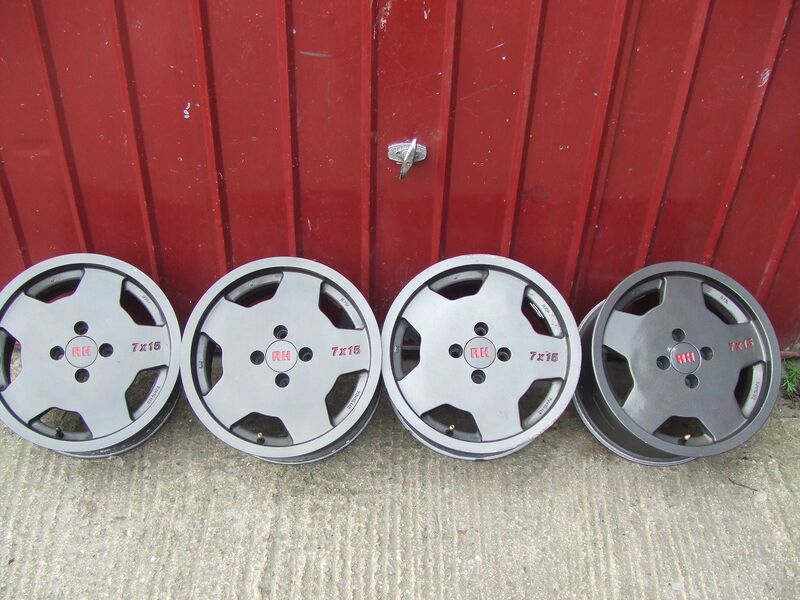 Could quite possible be the ultimate looking wheels on a MK2 you have there. For once Rouge let me know - sort of. En route to Ants last week and once out on open road/A1 started missing/stuttering. AA called, various checks and car only ran smoothly on half-choke. Decided to head home and roll the BRM out for the trip the next day. Playing with GTL today, got some Wynns carb cleaner from Halfords and double checked all the vacuum hoses changed after Xmas - although car had been perfect on a similar run the week before - plus the airbox mounting on front of rocker cover. Couple of runs out today from cold and then fully warmed up with choke fully in - seemed to be all ok. Theory - could this have been carb icing? It was that really cold Thursday, NE head wind and it only seemed to start once out on the A1. 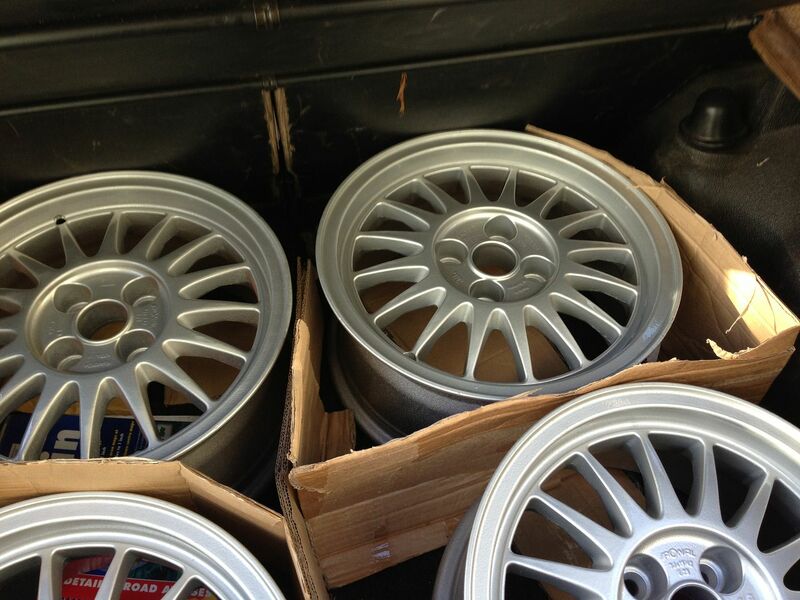 And I've finally decided to keep these rims to rotate between this and the soon to lowered BRM and sell the Castellets. GTXTRA wrote: And I've finally decided to keep these rims to rotate between this and the soon to lowered BRM and sell the Castellets. The AEZ's are staying - although someone needs to buy the Castellets quickly before I change my mind AGAIN! GTXTRA wrote: The AEZ's are staying - although someone needs to buy the Castellets quickly before I change my mind AGAIN! Sean, are they the 15" ones we were in negotiations about a while back? Couldn't believe another Nardi Votex steering wheel came up the other week - so I grabbed it for Rouge. The Momo Corse destined to return to the BRM in due course.